As the Feb. 29, 2016 RRSP contribution deadline approaches, many Canadians are about to make a last-minute contribution to their RRSP account. If you aren't sure what all the deadline fuss is about, the Canada Revenue Agency (CRA) lets you make RRSP contributions that can be deducted for the previous tax year any time in the first 60 days of the following year. They do this to give you time to find out how much employment income you earned in the last tax year, which you need to know to understand your contribution limit. Human nature being what it is, many people wait to the last minute to make a contribution, flocking to their banks, credit unions and brokerages in the waning days of February. For some who contribute all year long with a regular savings plan, they will just make one top-up deposit to use up their remaining RRSP room. Others who were either unwilling or unable to contribute regularly throughout the year may still make a one-time lump sum deposit before the deadline. RRSP contribution limits are based on earned income, which includes employment income, net rental income, self-employed business income and more. This does not include things like investment income, capital gains and pension income (for a comprehensive list of what does and doesn't count, see this article by Grant Thornton). Eighteen per cent of your previous year's earned income is added as RRSP room for the current year, up to an annual maximum amount. For the 2015 tax year, the maximum is $24,930 (CRA keeps a list of RRSP limits, as well as some others, here). Any unused room carries forward, so if you weren't able to maximize your contributions last year,whatever room was left is added to your contribution limit for this year. 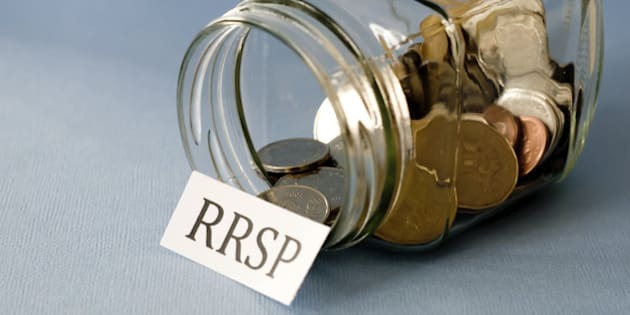 If you are a member of a pension plan or deferred profit sharing plan your RRSP room will be reduced by something referred to as a pension adjustment, which represents the current value of the pension benefits you accumulated in the year. To find the exact amount you can contribute to a RRSP, your best bet is to refer to your previous year's notice of assessment (which the CRA mails you after they process your tax return). It shows your RRSP deduction limit. If you don't have this form CRA has a few other ways to get the info: through their online access portals, My Account or MyCRA, or over the phone through the Tax Information Phone Service (TIPS) at 1-800-267-6999. Once you find your deduction limit, just subtract any RRSP contributions that you made between Mar. 3, 2015 and Dec. 31, 2015 to arrive at your remaining 2015 limit. This is the final amount you can "top up" for 2015. You can refer to the year to date gross income from your last pay stub of 2015 for an unofficial estimate of your employment income, or refer to box 14 (Employment Income, line 101) on the T4 statement of remuneration paid that you receive from your employer (here's an example). Box 52 on the T4 also shows your pension adjustment on line 206. Your unused room is simply the RRSP limit discussed earlier minus any contributions you make for the 2015 tax year. The 2016 RRSP maximum of $25,7370 PLUS the 2015 RRSP carry forward (unused room if you didn't maximum for 2015 by this year's deadline) MINUS your 2015 pension adjustment. The last step is to divide the 2016 limit by the number of pay periods you have in a year, and use that amount as a regular contribution to your RRSP. If you are paid monthly, divide by 12. If you are paid semi-monthly, divide by 24. If you are paid bi-weekly, divide by 26. Setting up a regular contribution like this with your payroll will make it much easier to save and make you feel much better about your financial future. Want to make your RRSP contribution? Have questions about your RRSP? Call or set up a meeting with your advisor to discuss your RRSP planning. Tea Nicola is the Co-Founder and Chief Executive Officer of WealthBar, Canada's only full-service online financial advisor offering diversified portfolios of low-cost ETFs, insurance and financial advice. Passionate about personal finance, Tea is looking to change the way Canadians save by making investing smarter, more transparent, and at half the cost of traditional advisors. Follow WealthBar on Facebook, Twitter or Linkedin to keep up to date with the latest personal finance tips.